When you start with studs and subfloors, it’s easy to build in things that will make your house the home of your dreams. 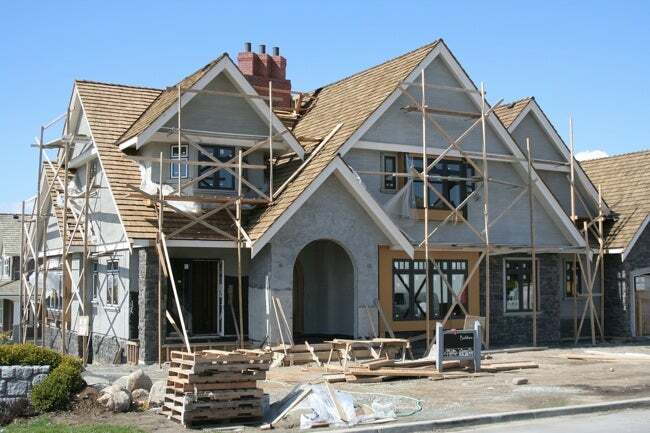 If you’re building a house from scratch, or even putting an addition on your current home, you’re in the unique position of being able to install systems and components that could be hard to incorporate into existing structures. From entertainment nirvana to bath bliss, now is the time to get things right so that your home becomes a haven of fun, comfort and ease. If you’re like most of us, you have different speakers all around the home—some bluetooth, some wired, some requiring an amplifier, some needing to be recharged or have their batteries periodically changed. Cut the cacophony and wire your home for sound. One of the hardest parts of putting in a whole-home sound system is cutting through ceilings and walls to run wires and install speakers, but if you’re still in the building stage, this part is a breeze. Working with a kit to wire your home for sound is one of the easiest ways to go. A kit typically contains a base station plus a series of controllers that can be placed in rooms around the home. This allows you to create various zones in your house to which you can send different music streams. After you’ve chosen a base station, you’ll want to select speakers that recess into the walls or ceiling and connect them to the station as well. Those with repositionable tweeters let you direct the sound exactly where you want it, while speakers with inbuilt bass and treble controls let you further tweak the sound for every room. When running speaker wire through the home, be sure to use UL-rated speaker wire marked CL2 or CL3. When it comes to making a home feel at once modern, comfortable and eco-smart, it’s hard to beat radiant floor heating. Installed on or in the subfloor, radiant floor heating panels typically use channels of heated water that give off heat to the floor above them. The result is a wonderful, all over heat that doesn’t have any of the allergy concerns of forced-hot-air or any of the uneven heating problems and noise often associated with radiators or electric baseboard systems. 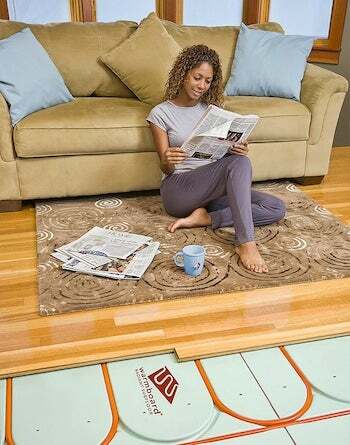 One of today’s smarter choices for radiant floor heating is Warmboard as they make panels that are super-conductive, which means that more of the heat from the water that runs through the channels is transferred directly to your home. The enhanced conductivity also means there’s less heat loss, which makes the system extremely efficient, and that Warmboard is also very nimble, heating and cooling down more quickly than other systems when you change the temperature at your thermostat. The bathroom can be a simple utilitarian space or, with a little planning, it can become one of the most luxurious retreats in your home. When designing the bathroom, be sure to leave ample space for your shower and tub area and reinforce the floor beneath it—so that you can install a heavy-duty spa tub. These days, you can purchase all-in-one units that contain a massage-jet tub, multiple shower heads, and steam and sauna functionalities—plus a computer to control them all. It’s also possible to mount moisture-resistant TVs in the walls of your shower or bath area so that you don’t miss a bit of news or sports action. If that’s all too extreme for you, consider installing a remote control for your shower or tub which allows you get the shower warming up before you even step out of bed. There are several options for home automation systems that do everything from controlling your lights to alerting you when the doors or windows are open, or even when there might be a fire or flood. There are thermostats that learn from your heating and cooling patterns and can be controlled via smartphone. There are speakers that can also be phone-controlled and can play different tunes throughout your house. And at least one company makes a hub that can tie it all together. Even though it’s easy to install home automation equipment in an existing home, doing so while you’re still building will ensure that you get everything exactly where you need it before you take control of your smartphone and pilot your house like the Starship Enterprise. There was a time when homes had summer kitchens—separate buildings in which food was prepared during the warmer months to keep the heat out of the main living quarters. Even though summer kitchens are a thing of the past, the logic remains: cooking outside keeps you from having to turn on the oven when the weather feels oven-like itself. 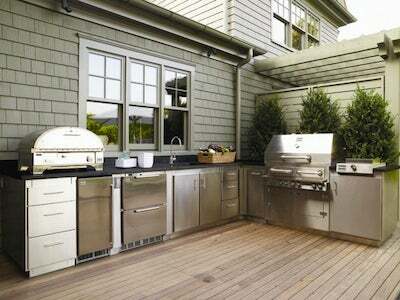 When planning your outdoor kitchen, keep in mind that you’ll want to have easy access to utilities to plumb in a line for the sink, drain and gas line, if your home has natural gas service (otherwise, you’ll run your grill and cooktop off of propane, so make sure you build in space to store the tank). While you can construct your open-air kitchen out of stone into which your sink and cook surfaces can be set, a more affordable option is to build the structure out of wood and face it with stone veneer which will weatherproof it and create an equally attractive look.